Product prices and availability are accurate as of 2019-04-18 23:42:24 EDT and are subject to change. Any price and availability information displayed on http://www.amazon.com/ at the time of purchase will apply to the purchase of this product. Bitcoin has traditionally been the payment system of choice for a criminal trading on the Dark Web, and now many other blockchain cryptocurrencies are entering the mainstream as traders are accepting them from low-end investors putting their money into the market. Worse still, the blockchain can even be used to hide information and covert messaging, unknown to most investigators. 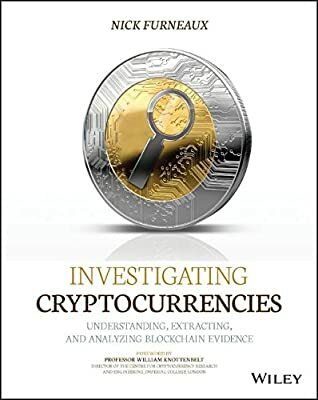 Investigating Cryptocurrencies is the first book to help corporate, law enforcement, and other investigators understand the technical concepts and the techniques for investigating crimes utilizing the blockchain and related digital currencies such as Bitcoin and Ethereum. With nearly $150 billion in cryptocurrency circulating and $3 billion changing hands daily, crimes committed with or paid for with digital cash are a serious business. 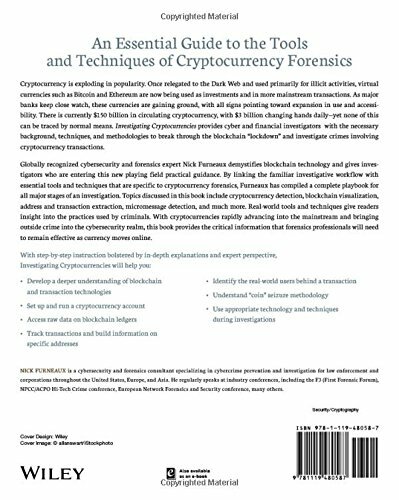 Luckily, Investigating Cryptocurrencies Forensics shows you how to detect it and, more importantly, stop it in its tracks.